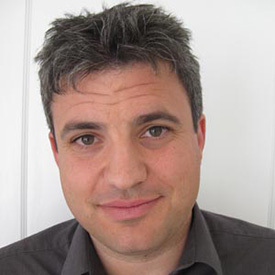 Dave Zirin, sports editor for The Nation magazine, is the keynote speaker for Tidewater Community College’s observance of International Education Week Nov. 14-18. Zirin will speak on “Colin Kaepernick and the History of the Activist Athlete” on Nov. 15 at 12:30 p.m. in the Virginia Beach Student Center, room K-320. A book signing will follow his talk. International Education Week is a joint initiative of the U.S. Department of State and the U.S. Department of Education to promote programs that prepare Americans for the global environment and support education abroad. The Tourist Game – 12:30 p.m. The Intercultural Learning Center kicks off International Education Week with The Tourist Game, an intercultural communication game that allows you to create a fictional culture with its own unique customs. Participants will get to see and discuss what happens when “tourists” visit their culture. For more information, contact intercultural@tcc.edu. Conversation Partners – 12:30 p.m. Conversation Partners will pair native and non-native English-speaking students for informal conversations and cultural exchange. Contact intercultural@tcc.edu for more information. International TV – 9 a.m. to 5 p.m.
Expose yourself to foreign languages in action. Be inspired by a variety of stories from around the globe. Discover the world through foreign movies that will be screened throughout the day. Batchelor will speak to permanent residents about the process of becoming U.S. citizens. All students, regardless of their citizenship status, are welcome to attend and examine, via this experience, concepts of citizenship, immigration, civics and politics. Intercultural Documentary Day – “The 16th Man” – 2 p.m.
“Documented” features journalist Jose Antonio Vargas’ depiction of life as an undocumented individual after being brought to the U.S. from the Philippines as a young child. As part of the “Define American” campaign, this documentary film addresses themes of immigration, public policy, and what it means to be a “real” American. International Education Week Film & Discussion – “A Walk to Beautiful” – 11 a.m.
“A Walk to Beautiful” is a documentary film that looks into the lives of women experiencing pregnancy and childbirth in Ethiopia, and the odds that they must overcome in their journey to access adequate medical care in a nation where poverty and lack of resources make that nearly impossible. International Pop ‘N Jam – 12:30 p.m. Engage in mini-language lessons, groove to global rhythms and make meaningful connections outside of your comfort zone. Embrace the concept of being a citizen in a universal community. Refreshments provided. Sponsored by Portsmouth Student Activities. All events are free and open to the public. For more information about International Education Week contact intercultural@tcc.edu. Maps and directions can be found on the TCC Locations webpage.